It’s only 5 races into Alejandro Hurtado’s debut season as a Motorsport Manager but we are already beginning to see signs of things to come. VivaRacing have been pushing for top ten finishes throughout the season so far and have seen both of their drivers finish in the top six. If you missed our introductory post to the series, do go back and read it through the link below. We saw how ex-football manager Hurtado took his first steps in the motorsport world in the new racing team VivaRacing. 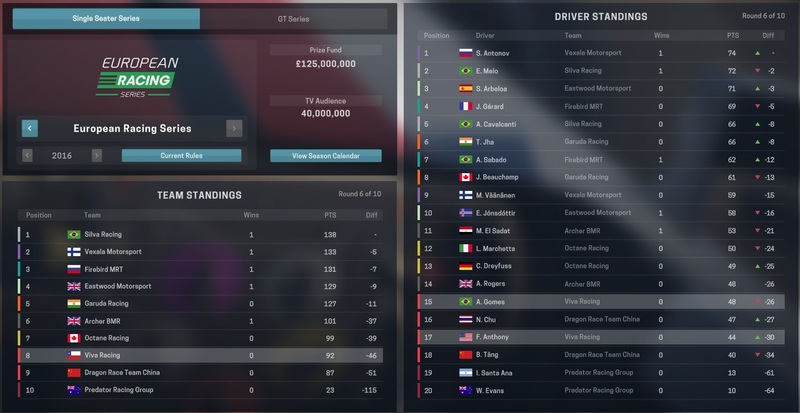 In the following post we will look at races 3-5 in the European Racing Series and find out how pleased (or not) Hurtado will be with his two drivers. There has been a gradual increase in both the performance and reliability of our cars over the five races so far this year. 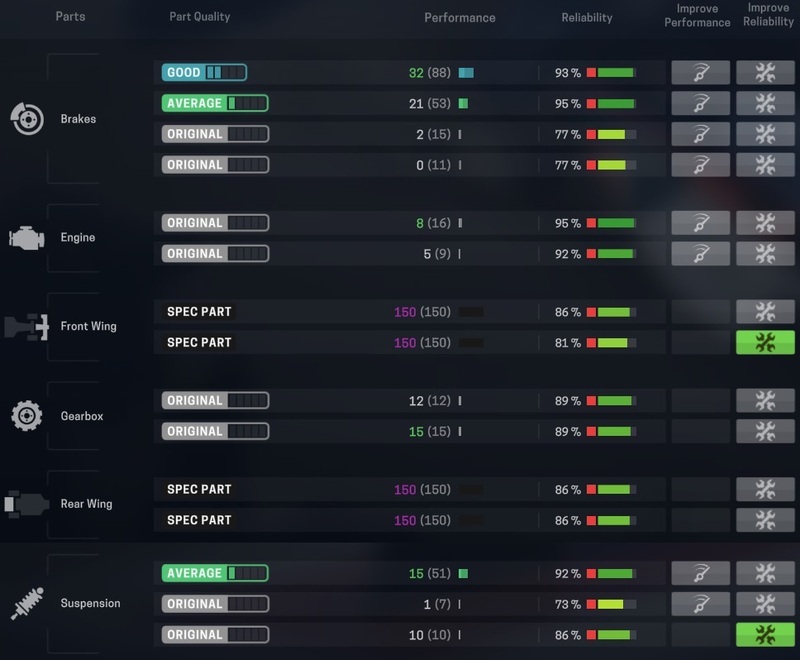 VivaRacing still have comfortably the worst cars on the grid, but these small improvements will help Gomes and Anthony (our drivers) to have more of a chance in each race. Andre Gomes produced his best performance of the year so far to finish in 6th place in Milan. Unfortunately for Faith Anthony the Italian GP proved trickier as she finished 2nd bottom in 19th, unable to follow in Gomes’ footsteps. In Portugal it was Anthony who triumphed over Gomes, albeit by just the three places. After the previous race, Hurtado made the error of raising his expectations and selecting the higher sponsor objective, meaning that the team lost out on the £150,000 they would have earned by finishing higher than 14th. The best race of the year so far for debutants VivaRacing. 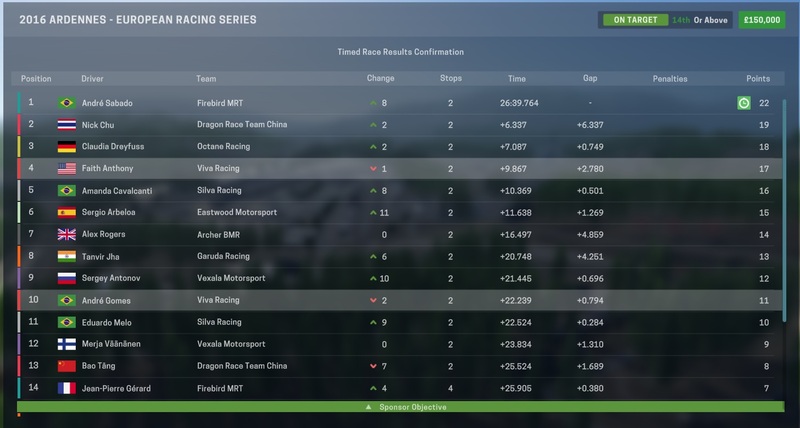 Placing in 4th and 10th meant that we finished in 2nd place as a team for the race, a very impressive feat considering the quality of the car as highlighted earlier. American Faith Anthony shocked her critics as she took 4th place and can consider herself unlucky after being denied a podium due to being overtaken on the final lap. A hugely entertaining display from both VivaRacing drivers. 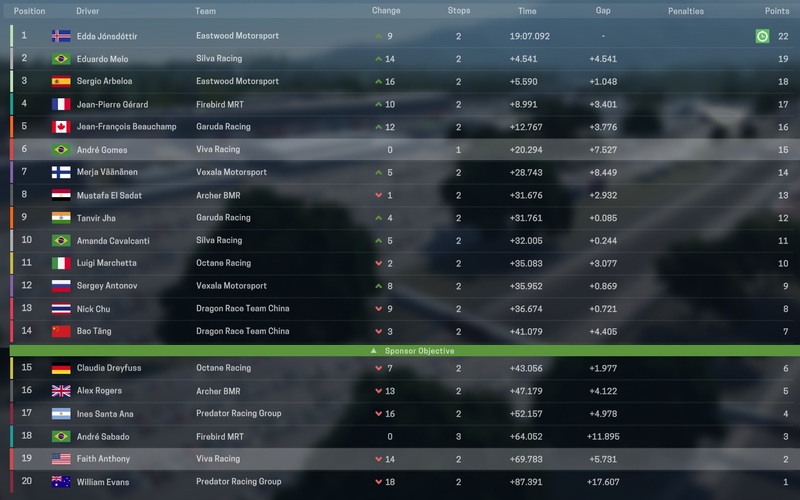 Considering how VivaRacing were expected to finish 10th at the beginning of the year, Hurtado and his team must be pleased with the standings at the end of race 5. Realistically, our drivers are not expected to finish any higher than their current places, yet after the previous race many are predicting further shocks moving forward. It is clear that there is a long way to go in terms of the car. We are trailing so far behind other teams in this department. Yet by competing anyway it shows how far we could go if we can continue to improve our car performance. Positivity is the word of the day in Hurtado’s camp. Thanks for reading part 2 of this brand new series on VivaLaVidaFM. In bringing out a series on a new game it may take some time to find out what works when writing posts, so please do leave any feedback you have in the comments section below. 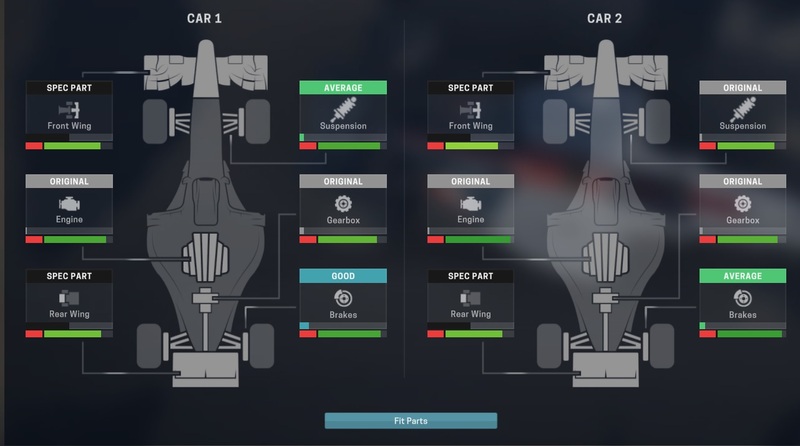 This entry was posted in Motorsport Manager and tagged alejandro hurtado, ardennes gp, milan gp, motor racing, Motorsport Manager, tondela gp, vivaracing. Bookmark the permalink.